The Atlantic Institute for Market Studies’ Public Policy Insights luncheons bring knowledgeable and provocative speakers to a public audience to discuss matters of importance to the people of Newfoundland and Labrador. Each luncheon includes a presentation followed by an opportunity for moderated questions and answers from the audience. In this instalment, the Hon. 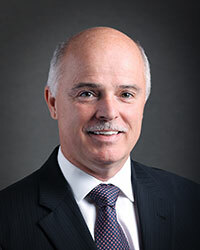 Tom Osborne will discuss the fiscal realities facing the province. A native of St. John’s, Tom Osborne attended Cabot College and Memorial University of Newfoundland. He was involved with the business community for several years. Prior to entering politics he worked for Statistics Canada, Small Business Enterprise, and with the Penney Group of Companies. He has represented his district of Waterford Valley (formerly St. John’s South) since 1996. Mr. Osborne served as Deputy Speaker and has held several cabinet positions, including Minister of Environment and Minister of Labour, Minister of Health, and Minister of Justice. Mr. Osbourne was appointed as Speaker of the House in December, 2015. AIMS is Atlantic Canada’s only independent, non-partisan public policy research institute. AIMS strives to find better ways to achieve greater economic prosperity for Atlantic Canada. Animated by the principles of personal responsibility, competitive markets and sound governance, the Institute conducts independent research that fosters informed public discourse and economic development in Atlantic Canada.